Please Don’t Eat the Daisies! I noticed that there seem to be a lot of articles out there to educate people on which plants are resistant to deer, but not so much on telling which plants to avoid. (As in, the deer will eat these to the ground). So, I decided that it is time to put the warning out there. Now, obviously deer will eat a great deal of different plants, and how picky they are changes with how many options that they have – i.e, during the winter they could eat just about anything. But if you want to know which plants are certain to cause the neighbors to believe that you have gone completely mad (something that is sure to happen when you run outside flapping your arms, screaming like a maniac,) then continue to read. 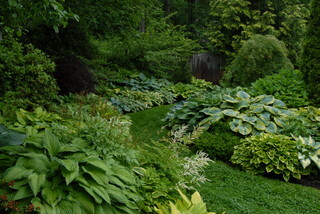 1) Hostas – One of the few greenery plants for the shade that last through 3 full seasons and produces a bloom. However, the deer will make these into a nice snack. 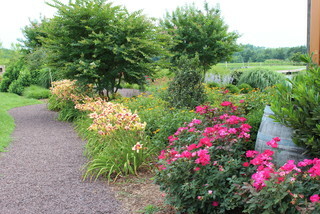 2) Knockout Roses – (and a few other rose cultivers as well). You would think that the thorns would be a nice deterrent, but you would be wrong. 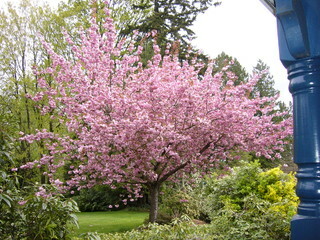 Mostly, they will chomp off the lovely blooms and leave you with a bald looking shrub. 3) Daylily – Oh, how I would love to just once get to experience a full and abundant display of my daylilies, instead of the bundle of stubs that are, more often than not, left behind. The deer love these bulbs. In fact they tend to like most bulbs, but if I list every plant that deers love…. well, I would be here all day. 4) Arborvitae – They love these narrow leaves. In addition they like most other narrow leaved evergreens – think fir. 5) Apple/Cherry trees – You may as well put out a buffet, and don’t expect to get many apples from the tree if you have deer around. 6) Pansies – we like these for their late season color, but that is also when food selection begins to become scarce for deer, and these beautiful gems must look like candy to deer. 7) Yew- Although they may not kill off your yews, they will definitely misshapen them. If you must have Yew, try the Japanese Plum Yew. 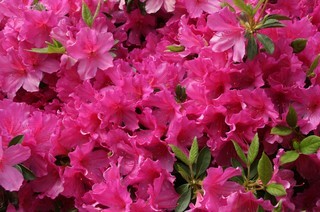 8) Azaleas – It’s hit or miss with the type of azalea that deer prefer. I tend to believe that they vary by geographical area. However, if you get the right (or wrong) azalea plant, deer will eat blooms, bulbs, and the soft wood. 9) Redbud Tree – Yes, there are probably some other plants that I could easily justify as deserving of this spot on the list, but considering the damage that is persistently being done to my Redbud, I made a judgment call. I have seen deer standing on their back legs in an attempt to reach the few remaining leaves on my tree. 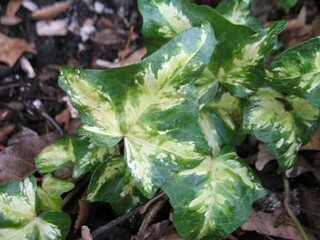 10) English Ivy – Since these vines are so aggressive, I am not sure how much damage a deer can actually do with these. Still, they seem to love them. So, keep that in mind if choosing these for ground cover in deer territory. I know, I know. There are so many more plants that could be on this list, and some of you may be growing these plants in deer country with nary a nibble. Consider yourself lucky. All-in-all, there are hundreds of plants deer love to eat, these are just the ones that I consider to be the top ten.